The creation of a system of taxpayer-funded public schools accessible to all is one of America’s greatest achievements. Public education evolved in this country to not only serve the needs of individuals, but the public overall because our leaders understood having a well-educated citizenry was important to the protection of our democracy. In North Carolina, public schools are ingrained into the fabric of our state’s identity. The Public School Forum of North Carolina believes— and the evidence shows — that this is a very good thing. Public education is one of the few institutions left where we all still come together regardless of color, religion and wealth. Does anyone question that we need that now more than ever? 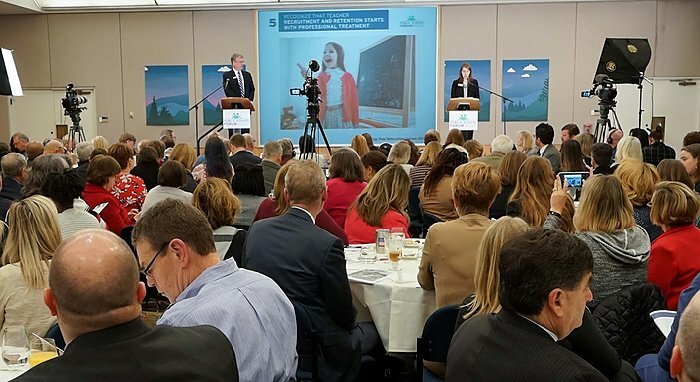 As we prepared our list of the Top Ten Education Issues for 2019, we examined many of the same issues we have highlighted in recent years: improve teacher recruitment and retention, close gaps and shortfalls in school funding, address racial equity in our schools and implement transparency and accountability in the state’s private school voucher program. 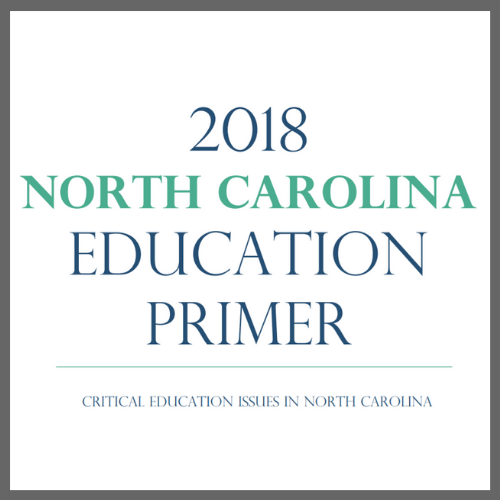 There are also important new ones, including a need to focus on the unique education challenges of rural North Carolina. Those demand attention. To download the 2019 Top Ten Education Issues, click here. 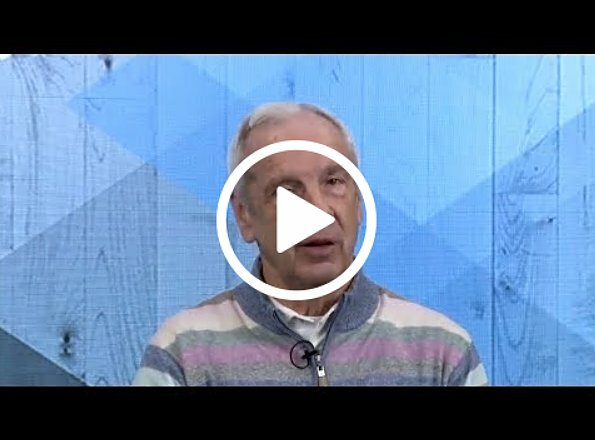 To view photos from Eggs & Issues 2019, click here. Excerpt from: Poston, K. “Let’s make NC public schools our No. 1 priority.” The News & Observer. 1/23/19. 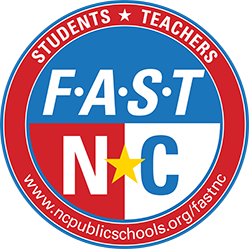 The Public School Forum of NC unveiled its Top 10 Education Issues for 2019 this week. 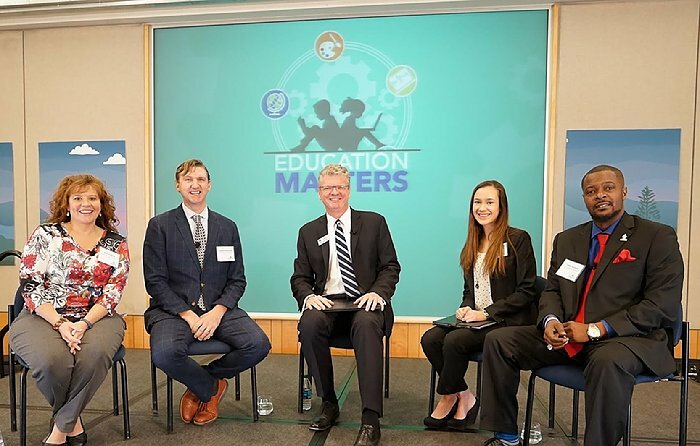 A student/educator panel discusses the topics before a live audience in Raleigh at the 2019 Eggs & Issues Breakfast. What Does My Public School Mean to Me? 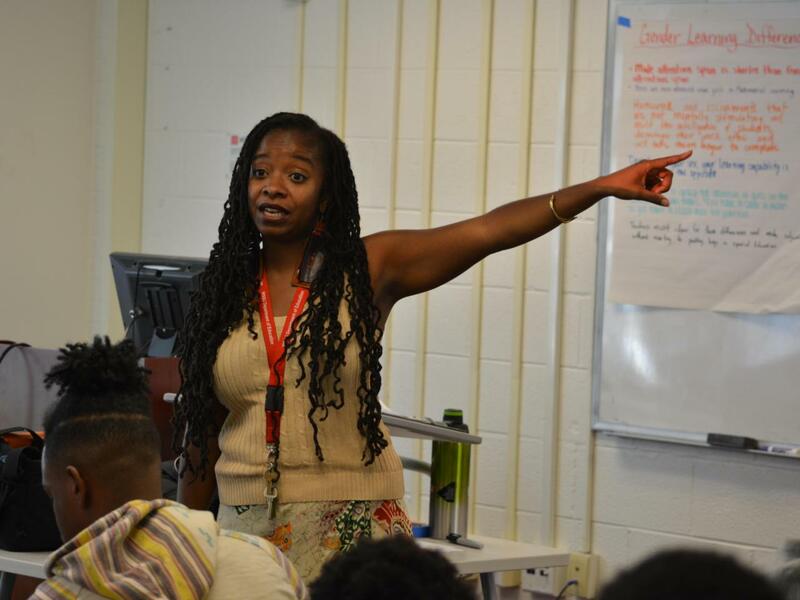 Dawn Hicks Tafari, an assistant professor of education at Winston-Salem State University, teaches a course called “Advancing the Academic Success of Black Males” on Oct. 30, 2018. Photo Credit: Kelly Hinchcliffe, WRAL. Wake County teacher Carl Tyson sat dumbfounded next to his former student, Trey Stevens. After all these years, why did Trey come back to his class to say he was a favorite teacher? Of all of the teachers, why was he so special? “I’m trying to figure out the defining moment,” Tyson said, clearly honored but confused. Trey, now a sophomore at Fuquay-Varina High School, explained it was Mr. Tyson’s PE class at Holly Grove Middle School and his reading club, “Boys, Books and Bow Ties,” that left an impression. He is also one of the only black male teachers Trey has had in school. Hinchcliffe, K. and Tillett, L. “NC’s teacher diversity gap: ‘Where are the black and brown teachers?’ In North Carolina, 80 percent of public school teachers are white.” WRAL. 1/24/19. Are NC Schools Biased Against Black Students? New Report Points to Suspension Rates. Racial equity report cards of North Carolina school districts show black students are more likely to be suspended and sent to the court system than white peers. Southern Coalition of Social Justice says data shows racial inequity exists. Photo Credit: News and Observer file photo. 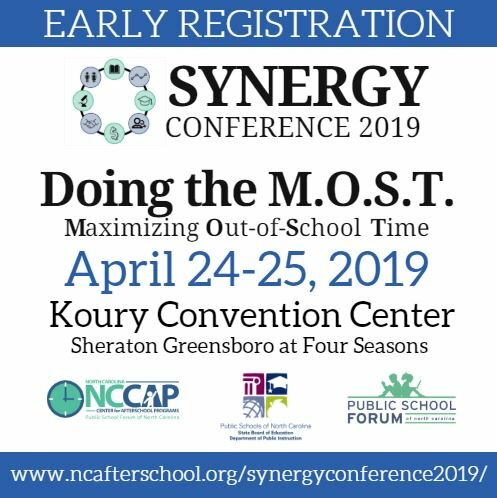 A civil-rights group is calling on North Carolinians to look at racial inequity in school discipline and student achievement at the same time they honor the legacy of the Rev. Martin Luther King Jr. this weekend. The Youth Justice Project of the Southern Coalition for Social Justice on Friday released “racial equity report cards” for the state and for individual school districts showing that black students are more likely to be suspended and referred to the court system than white classmates. The group says the data, when coupled with how black students are on average lagging academically, is a “call-to-action” to address racial inequity in North Carolina. Hui, K. “Are NC schools biased against black students? New report points to suspension rates.” The News & Observer. 1/18/19. Officials participate in a roundtable forum discussing a proposed school buildings bond. (From left to right) Harnett County Superintendent Aaron Fleming, State Superintendent Mark Johnson, House Speaker Tim Moore, Rep. David Lewis. Photo Credit: Rupen Fofaria, EducationNC. Erwin Elementary was built in 1923, and it shows every bit of its age. With state officials scheduled to visit for a roundtable forum to discuss the need for new schools throughout the state, the staff at Erwin worked diligently to clean the old building. That was the update Erwin Mayor Patsy Carson heard when she called the school to check on preparations. Despite the cleaning, the message — that Erwin needs help building new schools — landed squarely. Both Rep. Linda Johnson, R-Cabarrus, and Rep. Craig Horn, R-Union, felt nostalgia for their elementary school days upon seeing the timeworn buildings. Fofaria, R. “Erwin is first stop as officials talk school bond.” EducationNC. 1/18/19. “Bad math: Software error tweaks grades in NC schools.” WRAL. 1/18/19. 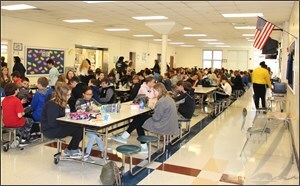 Students eat lunch in the Camden Middle School cafeteria, Friday. Photo Credit: The Daily Advance. Federal funding for child nutrition programs in the public schools continues to be an area of uncertainty as the partial shutdown of the federal government begins its second month. 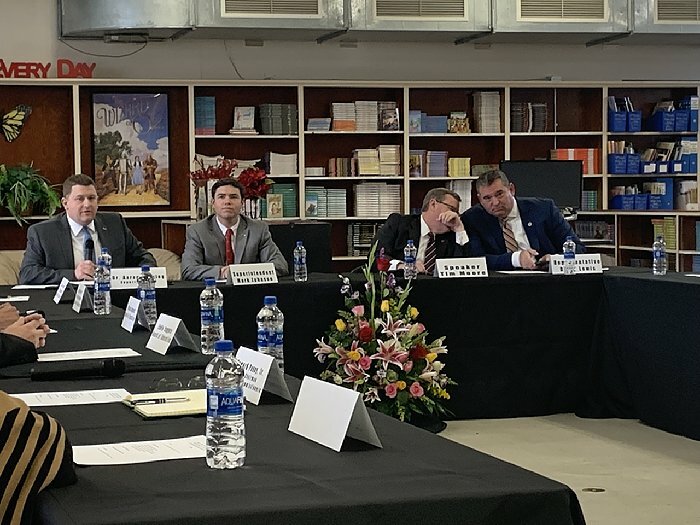 At a school board committee meeting Tuesday, Elizabeth City-Pasquotank Public Schools Finance Director Andrew Cox said the N.C. Department of Public Instruction recently advised school finance directors that regarding the shutdown, continued federal funding for school nutrition programs is DPI’s “only area of concern” right now. Ponder, R. “School lunches’ fed funding uncertain after March.” The Daily Advance. 1/23/19. 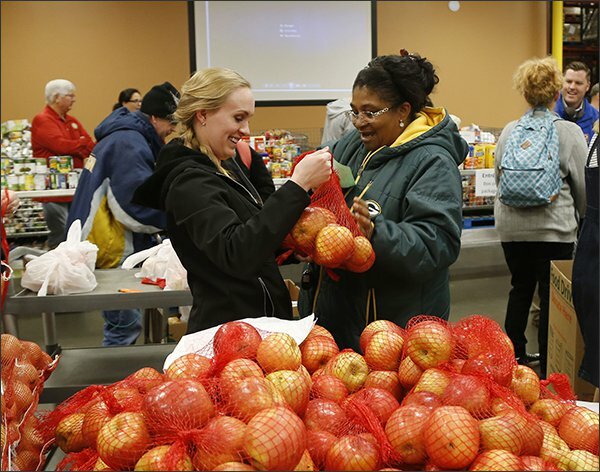 Kelsey Ashwood, an employee at The Community Food Bank of Eastern Oklahoma, helps Cynthia Prewitt get apples during a pop-up food market for federal workers earlier this week, 2019, in Tulsa, Okla. Photo Credit: Stephen Pingry/Tulsa World via AP. With federal workers feeling squeezed from not receiving a paycheck during the longest shutdown of the federal government in history, school districts are stepping up to help families make ends meet. Across the country—from Tulsa, Okla., to Atlanta—districts are offering jobs to idled federal employees, raising money to help struggling families, and expanding school meal programs so students with furloughed parents can have free breakfast and lunch at school. Districts are doing so amid concerns that the National School Lunch Program, which feeds more than 30 million students annually, could run out of money in March if the United States Department of Agriculture, which administers the program, is not funded or if the shutdown does not end soon. Superville, D. “Shutdown Day 32: School Districts Step Up to Help Students and Families.” Education Week. 1/23/19. Image Credit: Daryn Ray, Education Week. Editor’s Note: Staff Writer Denisa Superville covers districts, leadership, and management. This analysis is part of a special report exploring pressing trends in education. Read the full report: 10 Big Ideas in Education. It’s been nearly 65 years since the landmark U.S. Supreme Court Brown v. The Board of Education of Topeka decision, and yet American schools remain deeply segregated. 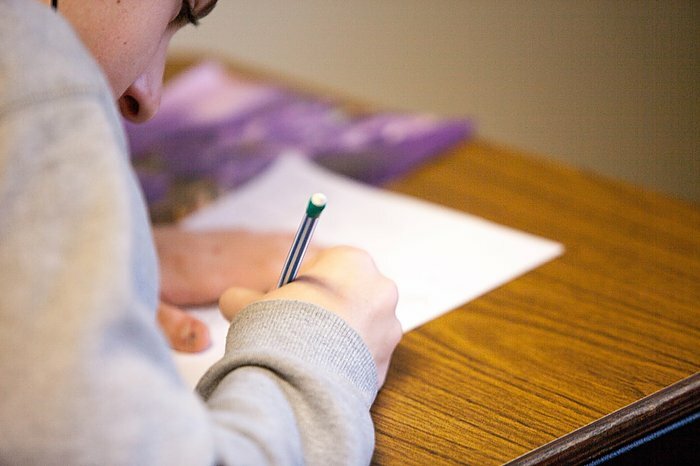 In fact, researchers at the Civil Rights Project at the University of California, Los Angeles, say the nation’s K-12 public schools have become doubly segregated for large numbers of black and brown students, many of whom attend schools where the majority of their peers are also brown, black, and poor. Superville, D. “Is There a Path to Desegregated Schools?” Education Week. 1/8/19. Please feel free to contact us at [email protected] should you have questions.